Give me your opinion! TinyRPG Released! 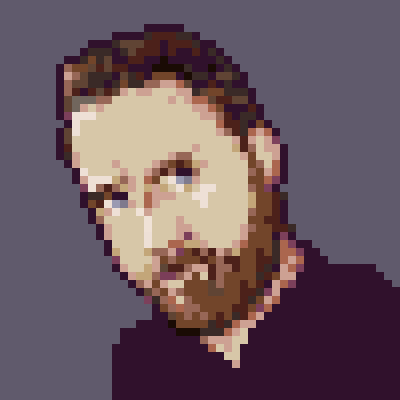 I'm really curious what the talented people in the Pico-8 community think of the game. I want to develop the game further so any feedback (especially on the player-experience) is very welcome! Another thing I'm struggling with is attracting players! Does anybody have any suggestions with regards to this topic? I've reached out to IndieGamesPlus.com but I had a hard time getting in touch with other media-centric folks with an affinity for the smallest Indie Games. Alas, I'm not big on RPG games (sorry) - but I can certainly appreciate anyone who, like me, enjoys the challenge of squeezing games into PICO-8 carts. So, congrats on what you've achieved so far! Someone who may be able to appreciate this more is @Enichan on Twitter, as she's also attempting to build a large-scale JRPG in PICO-8. With regards to attracting players/coverage - the struggle is indeed real. My suggestions are to keep Tweeting about it (progress clips/updates, using tags such as #Pico8 #IndieDev and #GameDev) and hopefully the word will steadily get out there. Thanks so much for your response! I'll reach out to @Enichan! Also, yeah I'll keep posting on Twitter and even LinkedIn. Again thanks for the positive response and tips! Played until I reached lvl 14 or so. I appreciate the effort put in the cart, however, it gives a feeling of running in circle. It is not clear where to go to get back that egg. Beside, why having some many carts with so little monster variations? You can certainly beef up the graphics to motivate player to fight the next new monster! Thanks so much for playing! And that's valid feedback. More monster-variations would be nice and although I learned alot during the project (it's my second Pico game) I'm definetly not there yet when it comes to efficient coding. I will take you feedback for the next version, but that might be made with other code-language on another platform! Huh, not bad for a start. I do like that there's a character generator and shops (though having them appear on the location select would be nice so you know to factor them in, and geez those prices). Unlocking attacks with more elements is neat, as is having to choose which skills you want to learn. The sound design is also pretty good so far. I feel like you might have gotten carried away with the fact that you could split this into a ton of carts, because I don't get the impression that a lot of these are anywhere near full and it means the player has to deal with a not-insignificant amount of loading time that doesn't seem necessary. (Having to wait for it to load to access the inventory screen is especially irritating). If you expand/elaborate on the game sufficiently I think it could justify it, but as it stands it feels like it wastes time. Yes, PICO-8 loading times are super short all things considered, it just seems weird to have to deal with them so often. The game never seems to explain what the randomly varying elemental meters on the travelling screen are. I assume they restore your energy for each but it's not clear. They also don't seem to stop exactly when you tell them to so there doesn't seem to be much of a strategy to it either. Like others have said, more variety would be appreciated. While I didn't get terribly far in, from what I could see there were mostly just 2 distinct enemy designs (with a third rare one) with a few palette variations for different elements and it might be nice to see more location types. It could be especially neat to have special effects or modifiers on some locations that affect gameplay in some manner. Some music and splashier visual polish could also help make it more engaging. The things like the characters sliding into the screen and reacting to attacks are definitely good. However, since you have a purely turn-based combat system with no special forms of interaction and no real other gameplay outside of combat besides advancing dialogue and picking locations, some even fancier effects could help make the game more interesting to play. It would be nice to be able to see what a skill does before you decide to learn it. I also have kind of mixed feelings about the lack of a save system. If health items weren't so rare it wouldn't be so bad but it seems like your only hope when you get low is to run away and hope you run into enough weaker enemies you can level up again. First of, thanks alot for taking the time to play and share extensive feedback! I really appreciate it and you make some great points. This is my second Pico-8 game and my goal was mainly to prototype the design ideas (and player-experience) for a streamlined small JRPG. It started out with just the map screen and the battles, then expanded (although in a small way) to incorporate the other features. Instead of optimizing the current cart(s) I took the liberty of expanding to a new cart as soon as I smelled a token-limit. If I were to re-build the project from scratch, I'd definetly look more into ways I could improve the player-experience by reducing cart-loading as much as possible. I will put your suggestions on my list for the next version which will be developed in another language and therefor will definitly feel more responsive and fast. I want to add at least 9 more friendly and 8 more enemy creatures, an extended elemental system and more visual (instead of text based) feedback/progress. Thanks again, I really appreciate the time and effort you took to play and reflect on TinyRPG. I will make a post here when I've got more to share on future versions although at some point it might have less to do with Pico-8 and therefor might be inappropriate. In that case I will drop a line with a reference to other channels for anyone who's interested to follow.